Maharishi Honey seems to be better than Manuka Honey! And is not the only one. Another super-honey? Yes, there are labs telling that maharishi honey is better than manuka honey. Of course, considering its antimicrobial activity. And even better is manuka’s cousin, kanuka honey. Never heard of it, right? Well, there are no studies, no marketing, it’s still undisclosed to the public. According to tests conducted by the Food Research Laboratory, Tokyo Food Sanitation Association from Tokyo, Maharishi Honey has an even higher antibacterial activity than Manuka Honey UMF 10 A, UMF 20 A, and UMF 30 A. Well, the Indians can be proud! It’s a polifloral honey gathered from their forests, produced on Maharishi Vedic Farms in the pure, unpolluted atmosphere of virgin forests and lands, and improved by Vedic Farming Technologies with The Vedic Sound—the pure, evolutionary quality of intelligence, Natural Law, as available in the melodies of Vedic Literature. They also say it is produced with special attention to direction, influence of sun, moon, planets, and stars, and purity of environment through each phase of production, in addition to following the special procedures for organic certification to assure its purity. Who says it is that good? – the Institut für Honig-Analytik Dr. C. Lüllmann, Quality Services International GmbH, Bremen, Germany, a leading testing laboratory in Europe. – Brunswick Laboratories, Wareham, MA, USA, the leading laboratory on the ORAC assay in the USA. It is produced following the Ancient Ayurveda, which approaches the human being from a totally different perspective than our classic medicine. For me, at least, their way of seeing things sounds like a fairy-tale, a fantasy movie, nice and interesting, but totally not connected to our real world. I apologize to them for this vision, but our medical backgrounds are so completely different, that I think my attitude can be understood. “One branch of ancient Vedic Literature called Puran brings to light the 12 different qualities of the rays of the Sun according to the 12 months of the year. Maharishi Ayurveda (Maharishi’s Vedic Approach to Health) connects these 12 qualities of the Sun to corresponding structures and functions in the human physiology—for example, the 12 cranial nerves of the brain, which control the sense of sight, taste, touch, smell, and hearing. The specific nourishing qualities of the Sun in the different months of the year naturally influence the mechanics of the bees’ honey production, giving a uniquely beneficial quality to the honey. It can be found online www.maharishihoney.com; www.ayurveda.eu; www.ayurveda-produkte.de; www.ayurveda.de, www.ayurveda-produkte.at and so many others. In fact, you will find it at every Ayurvedic medical center. Amazon sells, for almost nothing, an edifying book: The Maharishi Effect: A Personal Journey Through the Movement That Transformed American Spirituality , which can definitely enlarge our understanding to what Ayurvedic medicine is and can do for us. The book says it transformed the American spirituality… well, I’d like to see in what way. I think I will start with this book: Science of Being and Art of Living. Yeah, we need to live our life with art! He does have a Mona Lisa-like smile, doesn’t he? 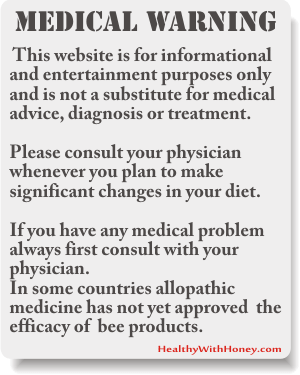 Read more about other medicinal types of honey, that we canfind in India: Ayurvedic honeys in India. A different but natural and effective way of healing. Are there other honeys better than manuka honey? It’s the cousin of manuka, coming from Australia as well, but from a different tree: Kunzea ericoides, from the same Myrtaceae family. There are apiarists that cannot readily differentiate these two species from each other. Both flowers have a similar morphology and pollen differentiation between the two species is very difficult. Manuka honey is dark, whereas kanuka honey is pale yellow and clear, with a delicate, sweet, slightly aromatic aroma and flavor. What’s really important, is that kanuka honey contains around double the amount of the main compound that comprises the manuka factor than most of the potent manuka honeys available. Yes, it’s MGO! And we thought manuka has too high levels of MGO. As for manuka, we should be careful. People are eating spoonfuls of manuka honey for health reasons, while there is no good evidence, at all, that eating honey was good for our internal health, but there is strong evidence that it was effective when applied to the skin (according to Medical researcher Professor Shaun Holt). And the big difference between those two, is that there are lots of studies about manuka, and merely a few about kanuka. Professor Shaun Holt is determined to revolutionize the world and discover all kanuka’s secrets. Scottish Heather Honey – This type of honey is made of heather that blooms in August on the Highlands of Scotland. 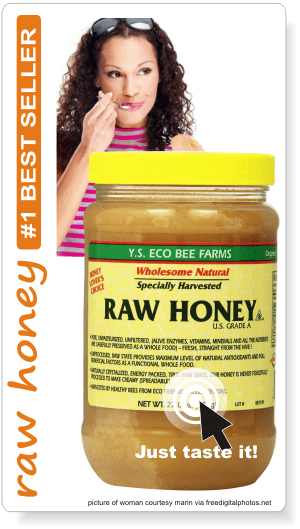 In 2013, The Veterinary Journal published a study about some kinds of honey tested for their ability to kill microbes. Scottish Heather did prove to be very efficient. There were cases when it was better, and cases when it was not. The major difference made my manuka, was its MGO – which can resist to the bad influence of light and temperature. 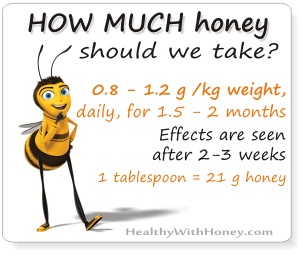 Tualang honey – is also considered to be better than manuka. But not necesarry at its antimicrobial properties, but at its antioxidant activity. And so is Sidr honey. 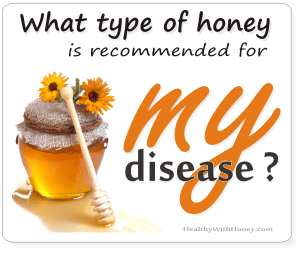 These honey do have hard evidence of their activity inside our body, not only on the skin. As a conclusion, we should remember that if we are interested in a therapeutic honey, than the darker the color, the healthiest the honey. And that manuka should not be simply eaten. Not all manuka is good for eating. 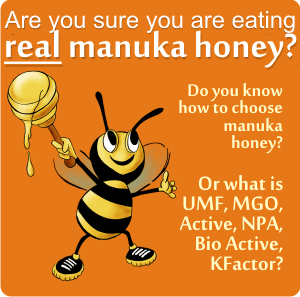 Deciphering manuka honey: UMF15+, MGO400, 24+ Bio Active, KFactor16, TA. Maharishi school featured picture credit LindaDee2006, via flickr.com, published under CC. Is manuka honey a natural treatment for MRSA? Is it the best? Kanuka Honey treats acne and rosacea! What is kanuka honey?